Jessica and Dean bring Matthew onto this week’s episode and the trio dive deep into “The Pollywog”. They all share some concerns for Dustin, but are largely optimistic about his storyline for the season long-haul. The protagonists continue to be agents of action (see: Nancy, and Eleven). They do things. They make decisions and we approve. 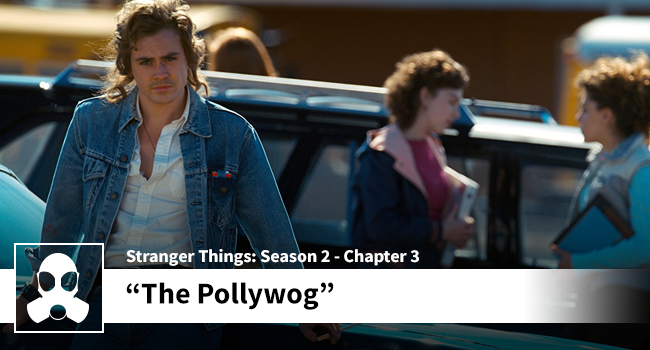 Matthew begs the show to stop making him watch Eleven cry, and the gang speculates on what types of life lessons that Hopper will teach Eleven. Plenty to discuss this week! Thanks again to Matthew for joining us!